Sibu Resident, Hii Chang Kee (seated fourth left) posing with the students of SMK Sibu Jaya at the end of the one-day programme to address teen pregnancies and drug abuse yesterday. SIBU: Pregnancy cases among teenagers in Sibu dropped to 369 in 2015 compared to 523 cases in 2014. “Last year, they dropped again to 353 cases. We hope that the cases will continue to decline,” said Sibu Resident, Hii Chang Kee at the closing ceremony of a one-day programme to address teen pregnancies and drug abuse held at Sibu Jaya Multipurpose hall here yesterday. According to him, government took seriously the cases of teenage pregnancies which ended with abandoned babies. 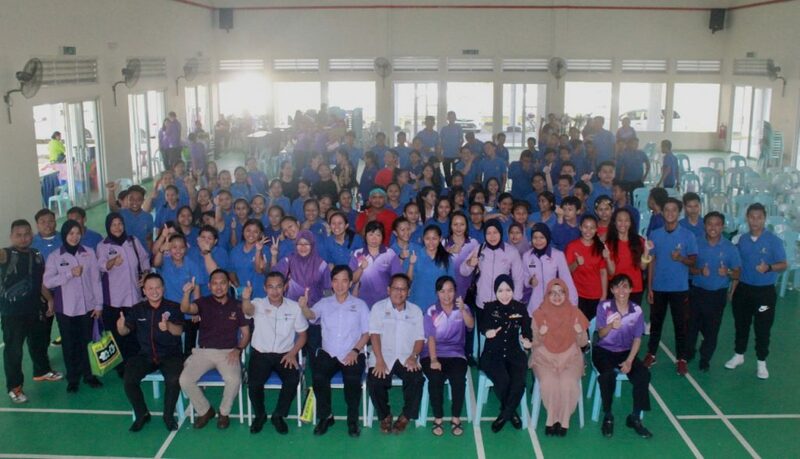 “The One Stop Teenage Pregnancy Centre led by Sibu Resident Office will continue to intensify prevention efforts among secondary school students in Sibu through awareness programmes and sexual education advocacy. “The involvement of all parties is important to address social problems among youths. I would like to take this opportunity to call on our society, especially non-governmental organisations and religious institutions, to actively carry out various educational and awareness programmes throughout Sibu on pregnancy cases among teenagers or drug abuse,” Hii said. He said parents should also play their role to educate and mould the character of their children. “Joint efforts of all parties will be able to help reduce the number of teenage pregnancy cases and drug abuse cases and thus, create a healthier society,” he said. Teen pregnancies in Sibu down 0 out of 5 based on 0 ratings. 0 user reviews.